AI and CC November 11, 2013 / By Anna Jordanous, Ph.D.
What is computational creativity research? Tracing the aims, directions and development of computational creativity as a research field. Welcome to this column on Computational Creativity research. Computational creativity is a thriving and relatively young research area. It is an area of research that can provoke strong reactions - or seem to be completely implausible? How on earth can a computer be creative? In this column, I will explore computational creativity from various perspectives, for a little more context in which to discuss and digest computational creativity research. So first of all: what is computational creativity research? Let's know what we're dealing with here. We can track and understand how computational creativity has developed as a research area. This extra insight helps us get an overview of the field's overall development to date. Computational creativity is generally seen as computational activity that could be perceived as modelling, representing or being creative. This definition has been developed in discussions over the past decade (Schmid, 1996; Wiggins, 2006; Cardoso & Wiggins, 2007; Cardoso et al., 2009, The Association for Computational Creativity). Incidentally, until recently, this definition was slightly different - computational activity that could be perceived as creative *if it were seen in a human*. As of an 2012 overview article by Geraint Wiggins and Simon Colton, two prominent computational creativity researchers, the specific reference to human creativity is now emphasised less (a thorny issue, perhaps - to be returned to in a later post). The basic idea behind the definition remains the same, though - computational creativity is the demonstration of something that can be described as "creative", through computational activity. Computational creativity research follows both theoretical and practical directions and crosses several disciplinary boundaries across the arts, sciences and engineering. This has led to the emergence of a community with varying and occasionally disparate aims and motivations, ranging from artistic goals to scientific exploration of creativity or the pursuit of software and/or hardware engineering achievements. Research within the field is influenced by artificial intelligence, computer science, psychology and specific creative domains that have received attention from computational creativity researchers to date, such as art, music, reasoning and narrative/story telling. Examples of work can be found in the Association for Computational Creativity's online bibliography. The image accompanying this article is an image from the DARCI project (Norton et al, 2013). DARCI is an artistic image rendering system designed to communicate concepts through the images it generates. 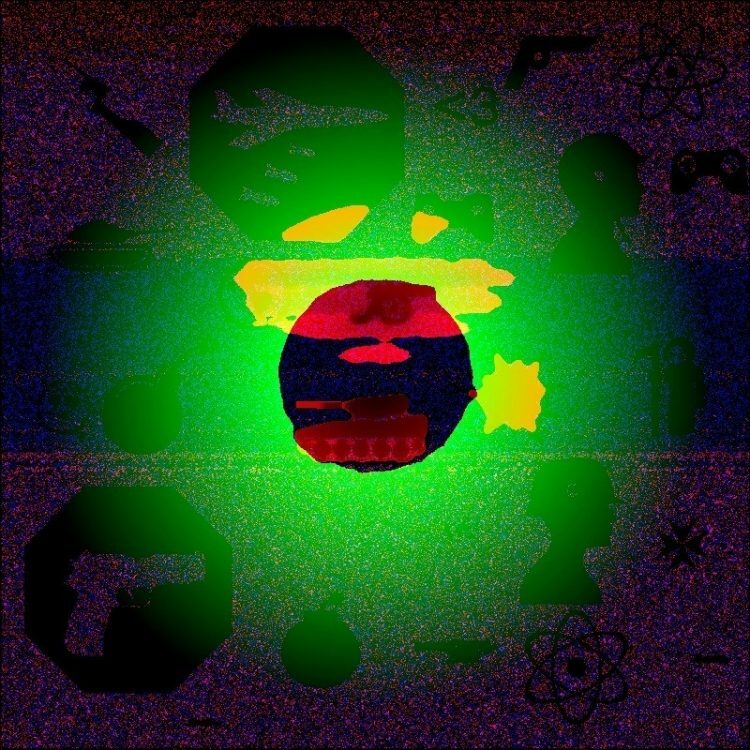 For example, the image here is based around the concept of "war". Though the field does not yet have a dedicated journal for research publication, the growth and active development of computational creativity is demonstrated by a healthy and sustained recent increase in workshop and conference activity, as well as a number of journal special issues on computational creativity research. Computational creativity research events have been taking place regularly since 1999. The first events were satellite workshops at larger conferences. Computational Creativity workshops have been held in conjunction with several AI conferences (AISB'99, AISB'00, AISB'01, ECAI'02, AISB'02, IJCAI'03, AISB'03, IJCAI'05, ECAI'06) case-based reasoning conferences (ICCBR'01, ECCBR'04) and linguistics conferences (LREC'04, NAACL'09). These events started to be labelled as the International Joint Workshop on Computational Creativity (IJWCC) series (2004-2008), which started through the coming together of communities from AI and from Cognitive Science, to hold joint research events on computational creativity. By 2007 these had developed into autonomous workshops and symposiums. As of 2010, computational creativity has established its own annual international conference series, the International Conference for Computational Creativity (ICCC). ICCC conferences have taken place in Portugal (2010), Mexico (2011), Ireland (2012), Australia (2013). ICCC'2014 will be held in Slovenia. This development in research event activity has been accompanied by a substantial and increasing growth in the number of papers presented to such research events and in program committee sizes. Pre-2004 workshops typically contained 10-15 papers, with program committees of between 5-15 people. This has now grown to averages of 33 accepted papers and 42 program committee members over the 2010-2012 conferences. So where does computational creativity research sit now as a fundable research area?The ongoing research activity that has helped this field develop continues at various scales. Additionally computational creativity was recently included in a significant European source of funding, the European Union's Framework Programme 7 for 2013, Objective ICT-2013.8.1, "Technologies and scientific foundations in the field of creativity". Currently funded under this objective are four large research projects and a Co-ordination Action, PROSECCO: an initiative to co-ordinate research efforts and promote inclusion with early career researchers and researchers from related disciplines (such as the readership of the Creativity Post). It could be said that computational creativity research is "coming of age" (Colton et al, 2009). What do you think? Article Featured Image Caption: DARCI an image rendering system designed to communicate concepts through the images it generates. 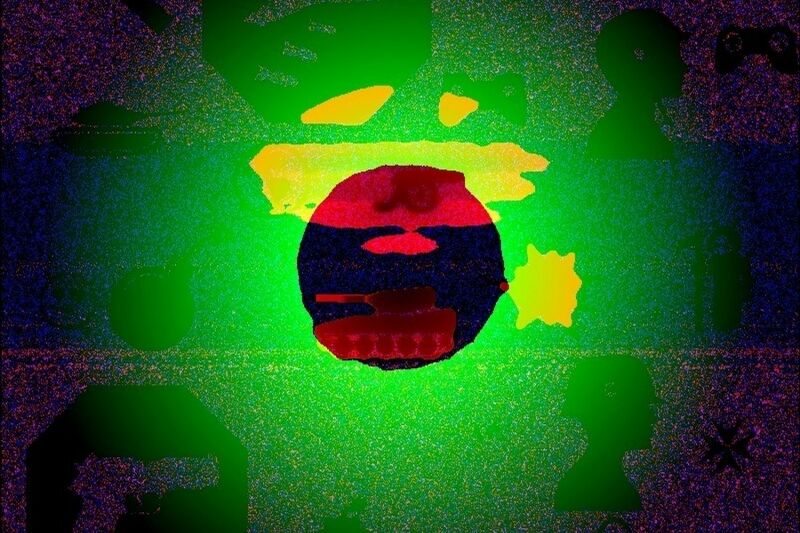 Here the concept is "war". Cardoso, A., & Wiggins, G. A. (Eds.). (2007). Proceedings of the 4th International Joint Workshop on Computational Creativity, London, UK. IJWCC, Goldsmiths, University of London. Cardoso, A., Veale, T., & Wiggins, G. A. (2009). Converging on the divergent: The history (and future) of the international joint workshops in computational creativity. AI Magazine, 30(3), 15–22. Simon Colton, Ramon L. de Mántaras, and Oliviero Stock (2009). Computational Creativity: Coming of Age. AI Magazine, 30(3):11-14. Simon Colton and Geraint A. Wiggins (2012): Computational Creativity: A Final Frontier?. Proceedings of ECAI, 2012. D. Norton, D. Heath, and D. Ventura (2013). Finding creativity in an articial artist, Journal of Creative Behavior, vol. 47 (2), 106-124. Schmid, K. (1996). Making AI systems more creative: The IPC-model. Knowledge-Based Systems, 9(6), 385–397. Wiggins, G. A. (2006a). A preliminary framework for description, analysis and comparison of creative systems. Knowledge-Based Systems, 19(7), 449–458. 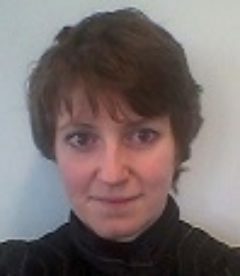 Anna trained as a computer scientist and holds a PhD in computational creativity evaluation (Informatics, Sussex) and an MSc in Artificial Intelligence (Informatics, Edinburgh). She has conducted research in computational creativity, digital humanities, music informatics, computational linguistics and research evaluation. After post-doctoral research at the Centre for e-Research, Digital Humanities, Kings College London, Anna joined the School of Computing in August 2014. On a less academic note (pun unintended? ), Anna regularly attempts to inflict her own creative musical attempts on the ears of others, playing and performing music regularly in a variety of styles. More about Anna Jordanous, Ph.D.